Uniregistry : Pay in Rubles, or navigate in Italian? Plus Holiday discounts and more! 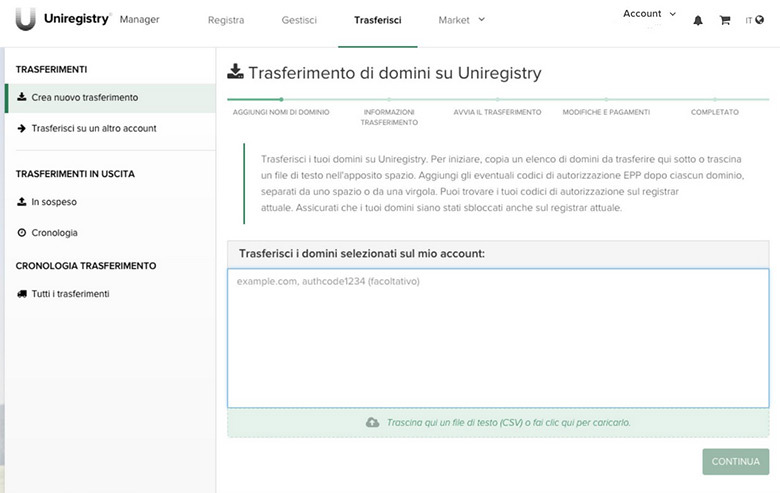 :DomainGang Uniregistry : Pay in Rubles, or navigate in Italian? Plus Holiday discounts and more! Uniregistry : Pay in Rubles, or navigate in Italian? Plus Holiday discounts and more! Uniregistry is ramping up for several improvements of its interface next year; Russian domain investors will be able to pay in their own currency, the Ruble. The current language sets of English and Chinese are also expanding, with Italian being added, along with other languages. Uniregistry is thus becoming a universal domain registrar, offering products and services in the native languages of its customers. There are no plans for pig Latin, however. Also, by using the code FDEC20 until December 31st, you will get 20% off new registrations of .lol, .photo, .mom, .link and .help domains – some restrictions apply. Uniregistry Customer Service will remain closed from December 24th – 27th and from December 31st, to January 2nd. Support tickets will be monitored for emergencies, however there may be delayed response times. Note: Uniregistry is a premium sponsor of DomainGang. We often report on products and services that they provide, which we also use.